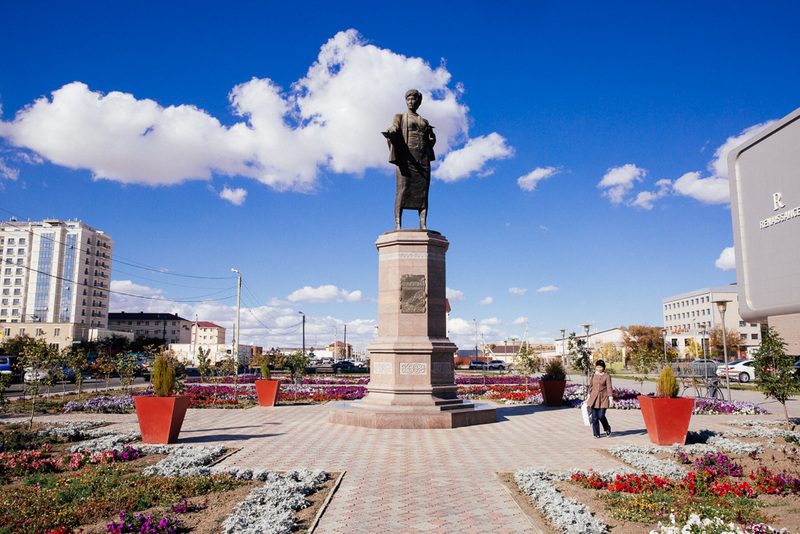 My friend Phong told me the same thing he said to his fiancé, don’t visit Atyrau (Атырау) there’s nothing to here to see. Luckily for him, one of my goals during year was to take rare opportunities to see friends while abroad, no matter how remote. 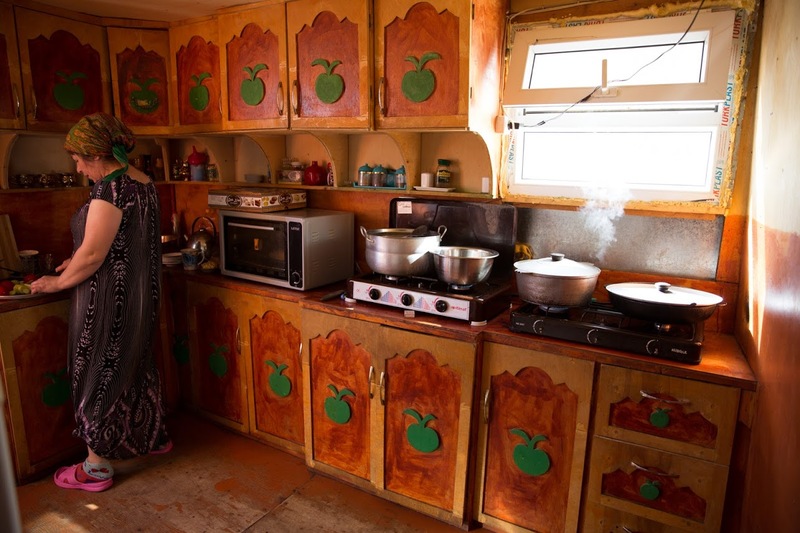 In May I had spent a week in a rural village in the mountains of Peru, where refrigerators were a luxury, so why not Kazakhstan? Phong had left Los Angeles for Kazakhstan just a little over a year now for work, and I was excited to be his first visitor from home. 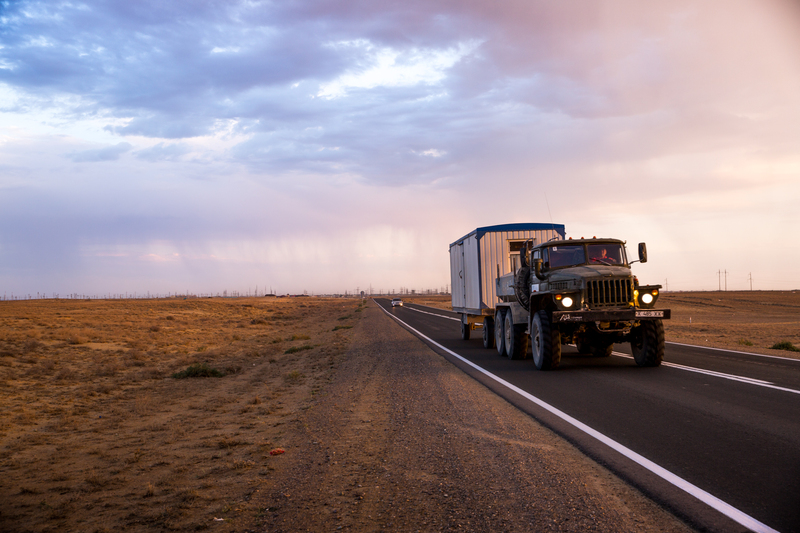 The journey to Atyrau from the port of Kazakhstan took more than 13 hours on land, and I was lucky to be hitching a ride with one of the Kazakh truck drivers I met aboard the ferry from Baku. 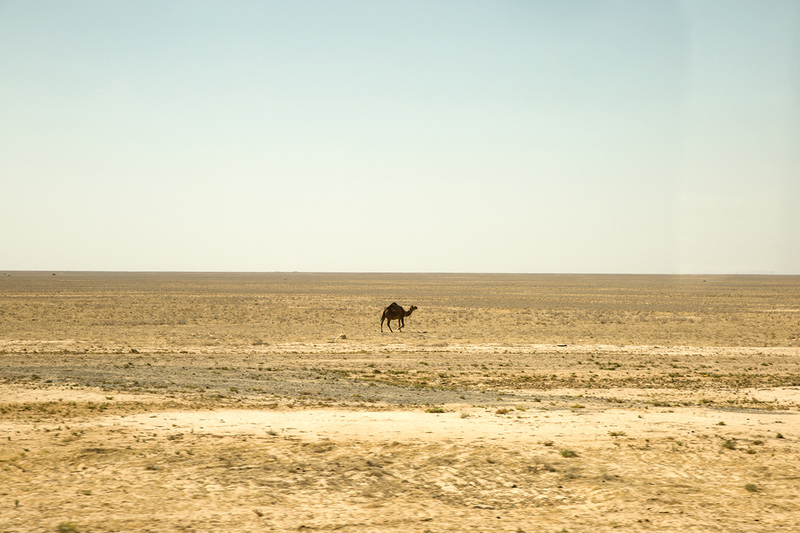 We took a lot of pit stops, and most of my time was spent looking out at the dry landscape with wild camels running around. 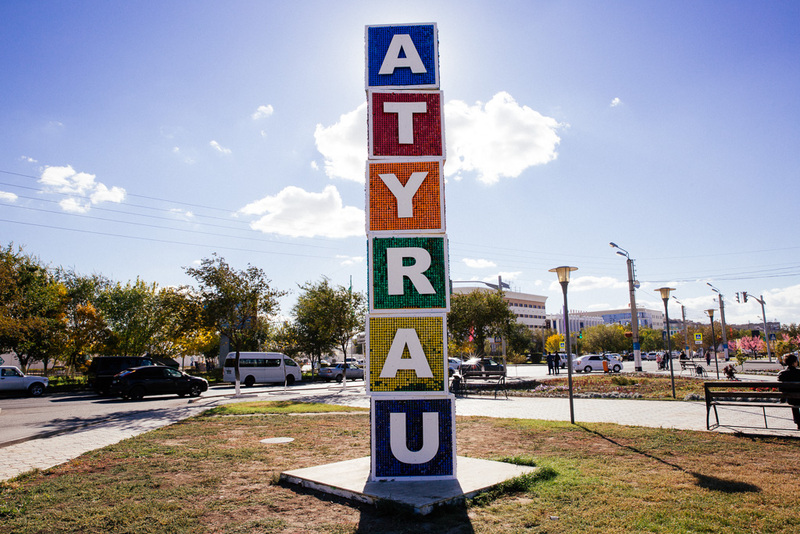 The city of Atyrau is a stark contrast from the bustling city of Almaty, for one, cost of living is higher, mostly due the expatriates living and working for the oil companies here. 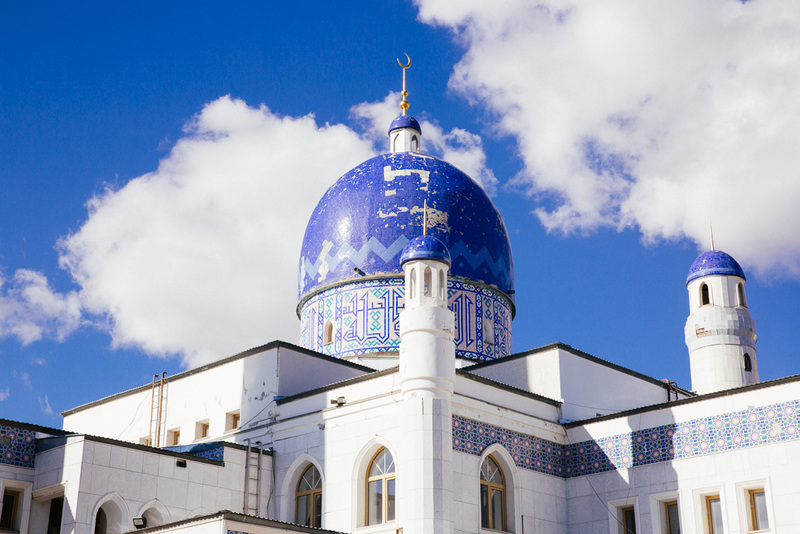 The city is unique as it is considered to be at the crossroads between Europe and Asia. Symbolically they consider the Central Bridge as the highway which connects both continents, even though one does not truly exist (even on Google maps doesn’t recognize this). 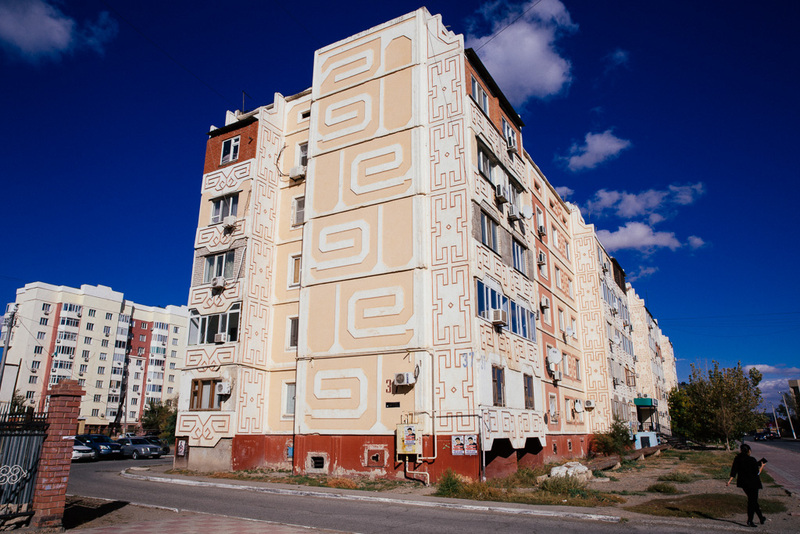 Having spent some time traveling through former Eastern Bloc countries, I was surprised to see some of the more decorated concrete apartment blocks. Everywhere you look, there is a large effort to refresh the streets, city parks, and mosques within the city. 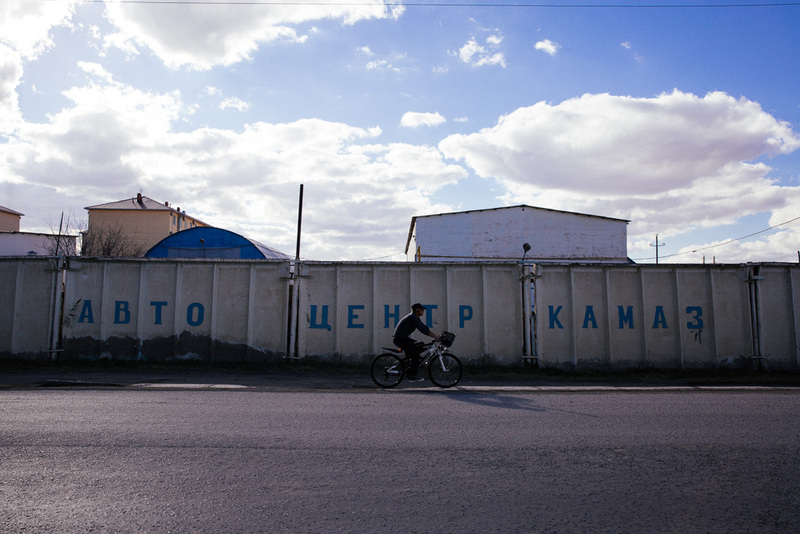 As a former part of the USSR, most people here speak Kazakh and Russian, which is why you will see a lot of the Cyrillic characters. 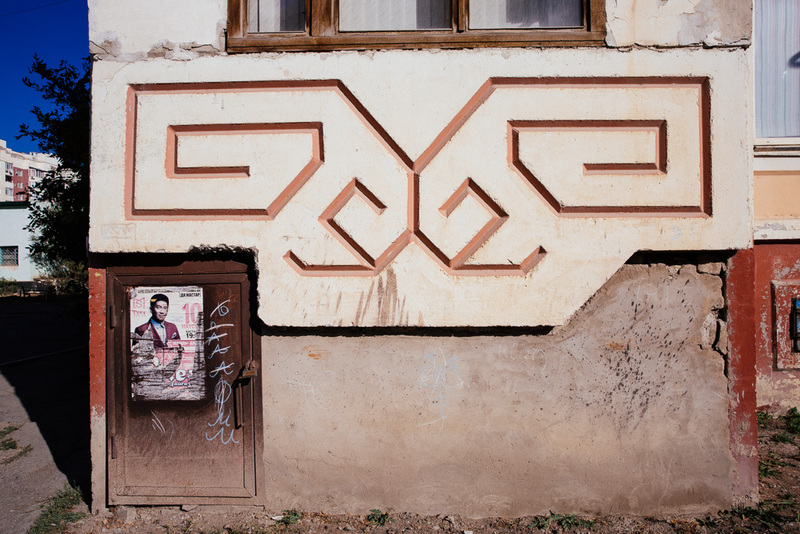 It was just announced just a few months ago, that Kazakhstan will be adopting a new version of Latin-based Kazakh alphabet. The deadline-to complete the switch is sometime in 2025, so in the future, a lot of the signage will slowly start to disappear. 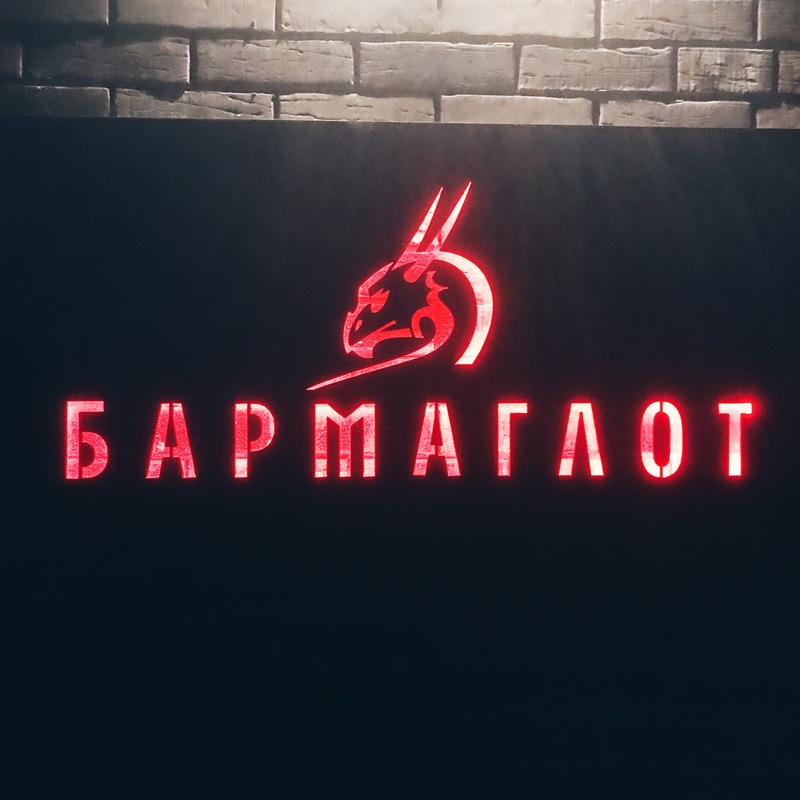 Walking through the streets of Atyrau, you start to notice there are not a lot of restaurants. Most locals have their meals at home with family before heading out for a night out with friends. Most of the restaurants that exist are catered towards the Western crowd and the prices reflect this. 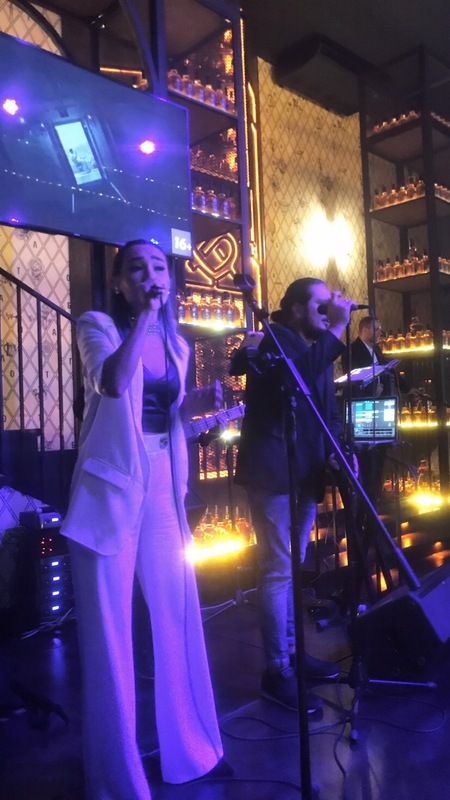 Some of the places include Champions Sports Bar, located inside of the Renaissance Hotel, Tofu sushi bar, and one of the most expensive bars in town which felt like something that would be found in any trendy capital city. 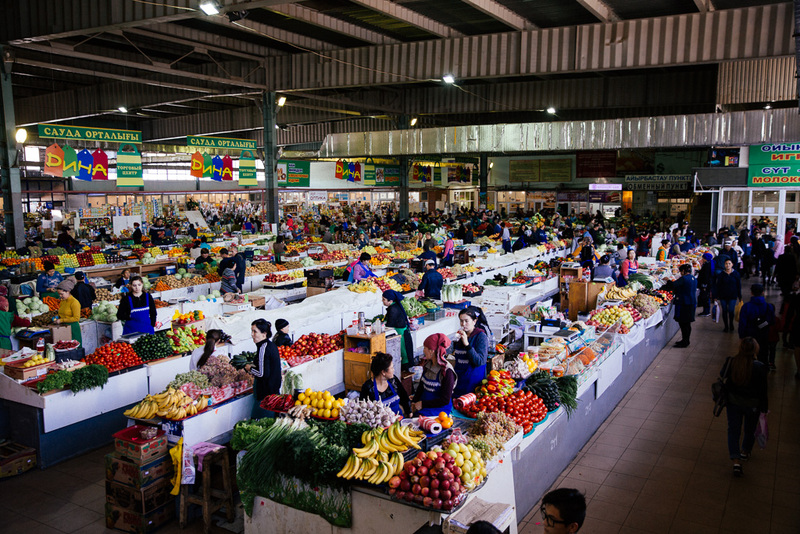 If you get out of the city center a little, you can find places like DИHA market and bizarre, where locals go to find a thriving selection of of produce, meats, clothing and household items. You won’t find many foreigners hanging out here. 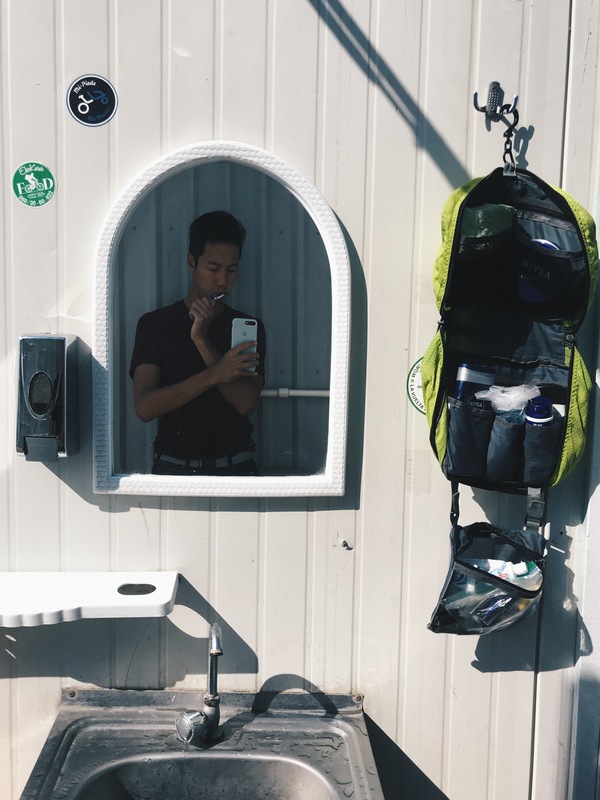 I am glad to have had the opportunity to spend time with my friend Phong abroad, and see what living like an expatriate is like in Atyrau, Kazakhstan. 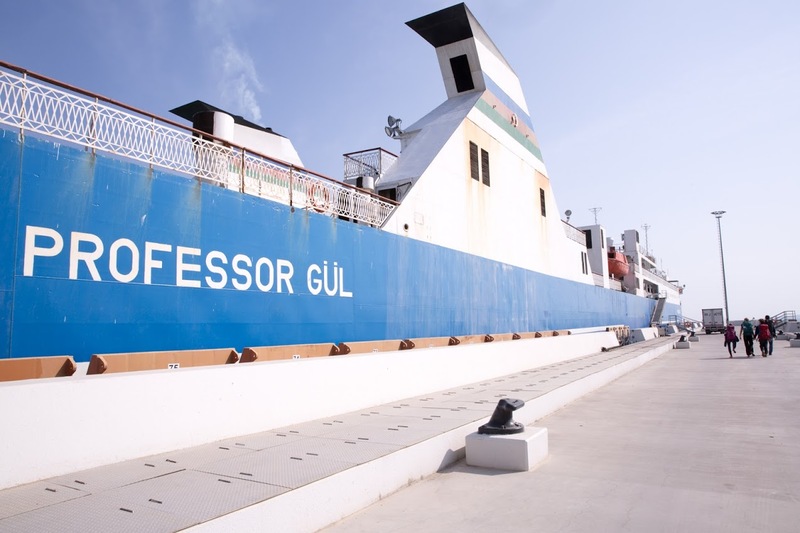 Finally aboard Professor Gül, one of the crew brought us to our rooms and gave us clean linens and towels. My room was situated in the same-corridor as the rest of the guests (mainly truck drivers), while the cabin / crew have the second floor of the ship. 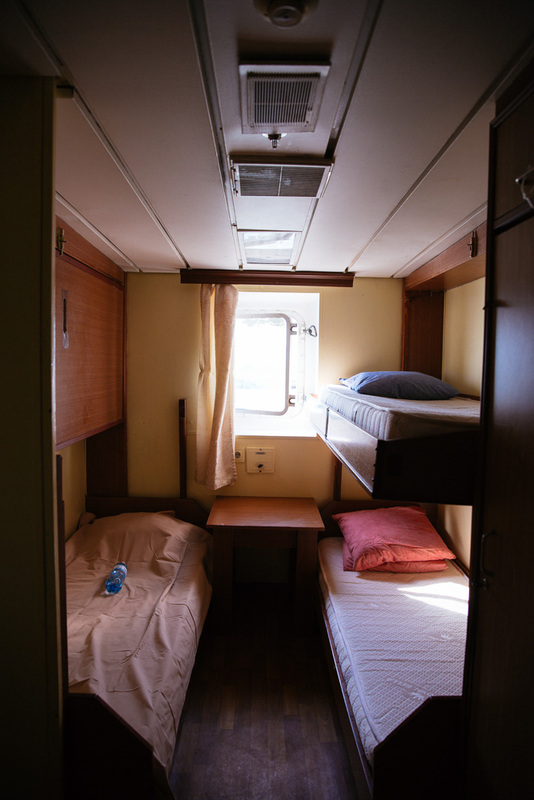 Each room contain four beds, with the top two bunks being collapsable. Luckily for me, the ship was not full and I shared the room with a driver from Kazakhstan. 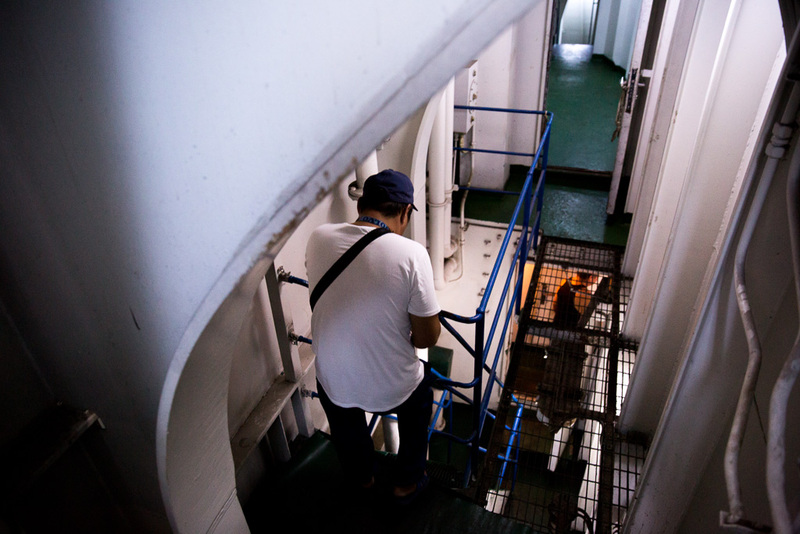 As a passenger on the ship, there is a common area where they serve hot black tea, a few corridors and the upper deck where you are free to hang out in. One of the drivers was excited to give me a tour of the cargo area, where he had parked his sixteen wheeler. We proceeded down the flight of stairs to the basement, where the trucks were still being parked. As you walk along the basement, you notice the tracks built in to allow for shipping containers to be loaded and unloaded. 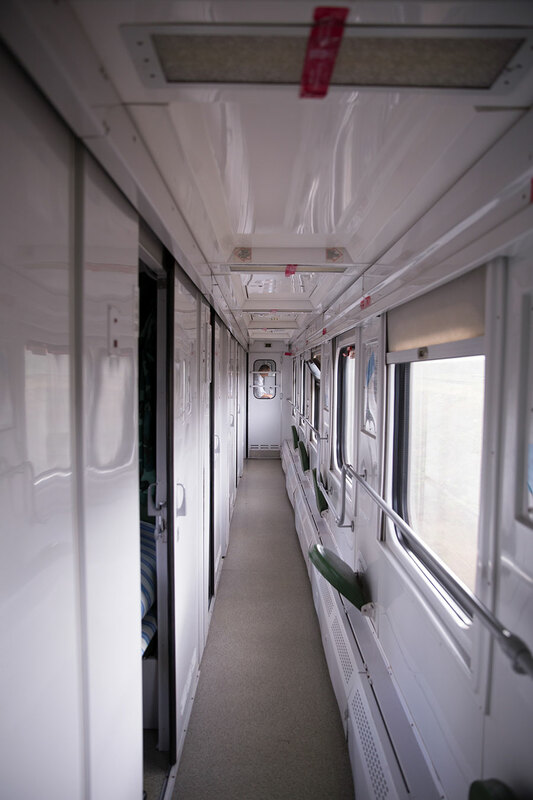 Food wise, there is a central kitchen that provides breakfast, lunch and dinner for all of the passengers. The meals involved pasta and chicken, bread and eggs and you guessed it, plenty of black tea to go around! Life on the ship is simple, there are not many things made for entertainment, even the television in the common room was rarely switched on. 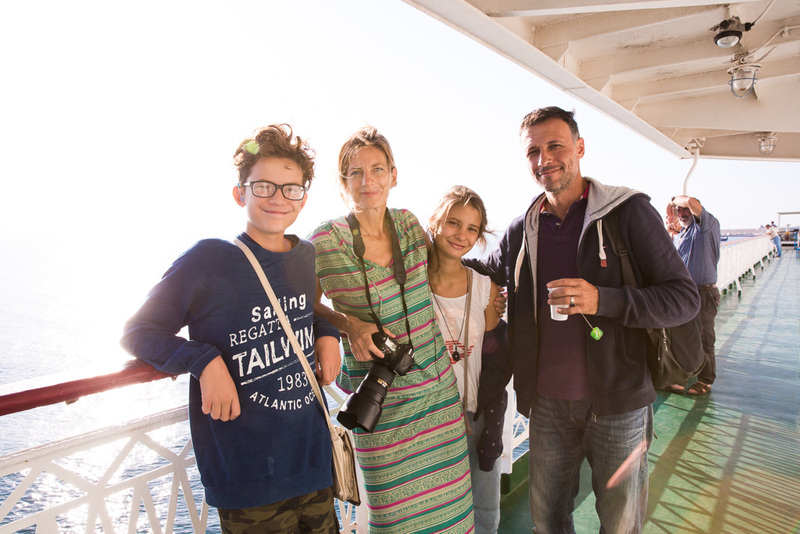 Your time on the ship allows you to read, stare out into the sea and most importantly, get to know the other passengers aboard the ship. My highlight of the journey was getting to know the family of 4 from the UK that decided to pack their bags and go on an indefinite trip. Anton was born in Bulgaria, his wife Georgia was born in Italy and the kids Eliano and Malina were born in the UK. 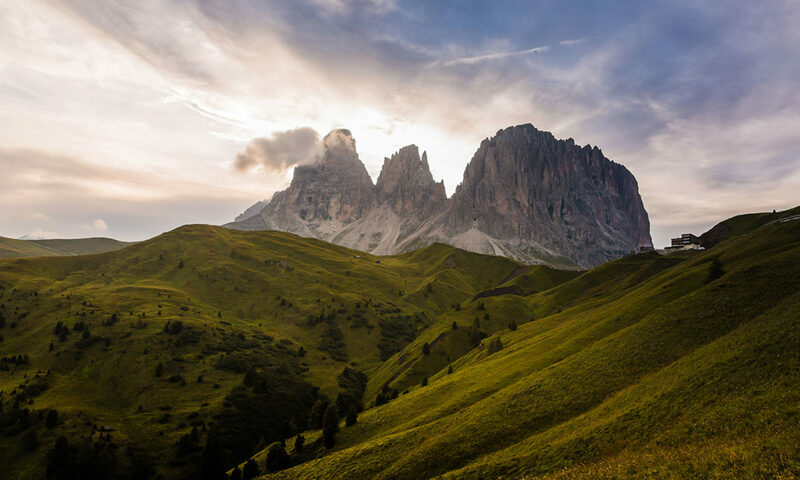 With such international roots, it shouldn’t be so much of a surprise that they have a serious case of wanderlust. Being on the road and home schooling your children is not a task for the faint of heart, I was continually impressed with their dedication to give their children a rich experience outside of the traditional classroom. You can check read about their adventures at their blog, BeyondOverton. I’ve also included a little interview with them on in the video below. 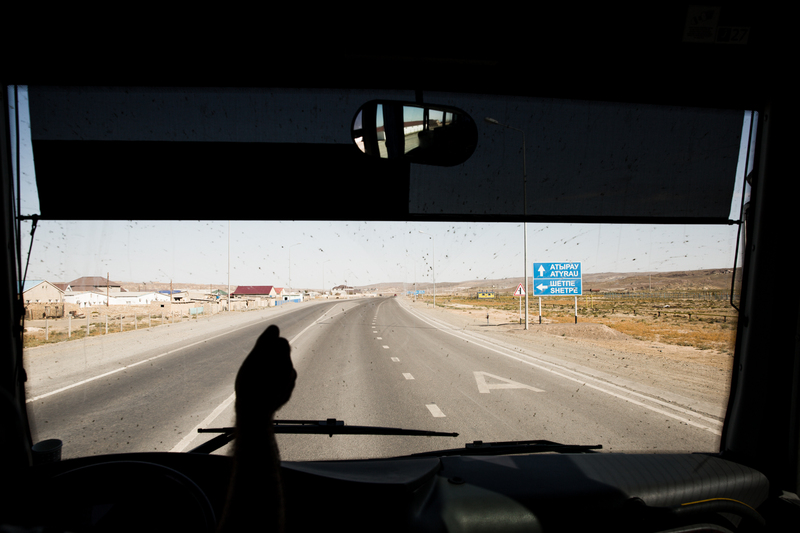 We were fortunate with good weather, and the journey took only 20 hours to cross from Baku to Kazakhstan. I have heard that this journey could take up to 72 hours depending on weather conditions. 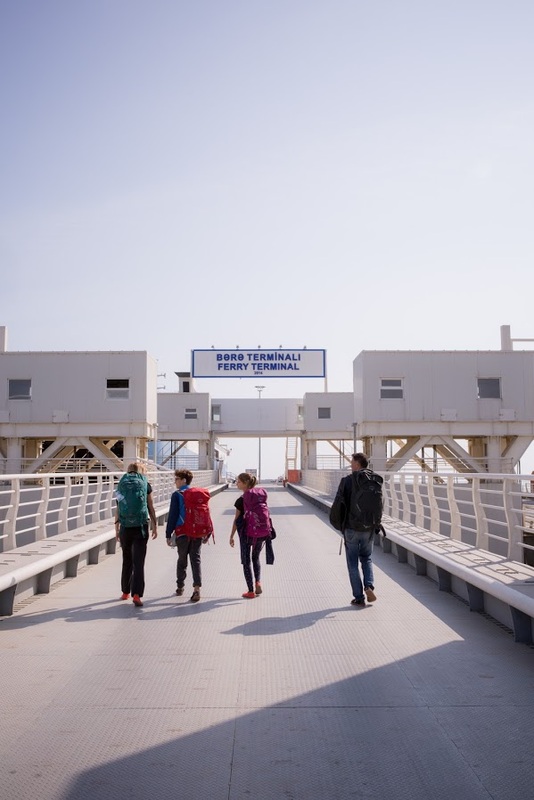 Everyone was elated to step foot at the port of Kuryk, Kazakhstan! 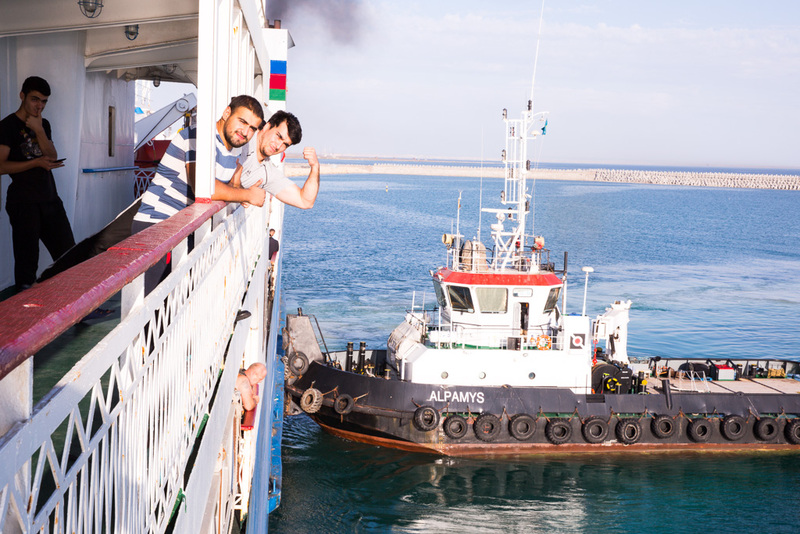 When I started my trip, I had no idea where Azerbaijan was on a map, let alone know that there was a ferry that takes trucks across the Caspian Sea to Kazakhstan. When you are time rich (read: fun-employed), you constantly debate between whether to spend the money to get there quicker, or take a route that is less conventional and cheaper. This was one of those times for the ladder. When attempting to catch the ferry to Kazakhstan, you must first accept the fact that there is not timetable. 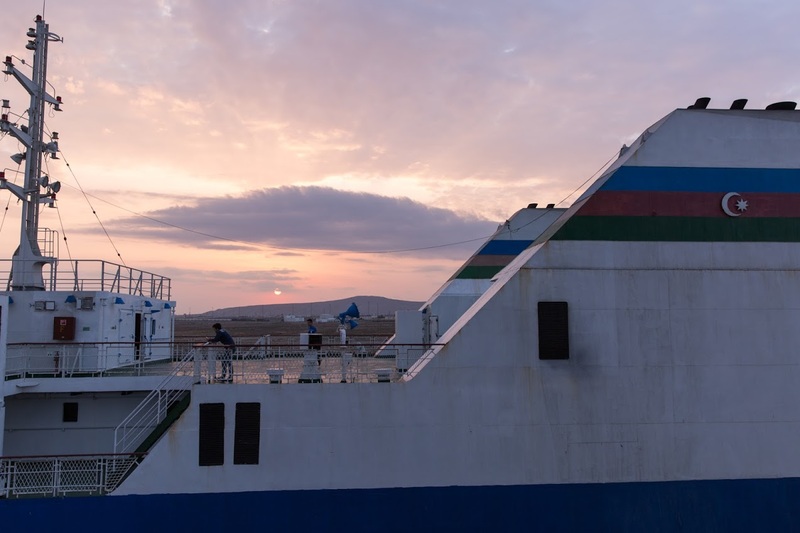 The ferries travel between both ports frequently, but can often be delayed a few days due to weather or long queues at the port to dock and unload/reload. Which means that if you are passenger trying to get aboard, you will have to call the port on a daily basis to find out when it arrives. (I was fortunate enough to have my friend, Mayis, from Azerbaijan calling in the mornings for me as they only speak Azeri and Russian.) 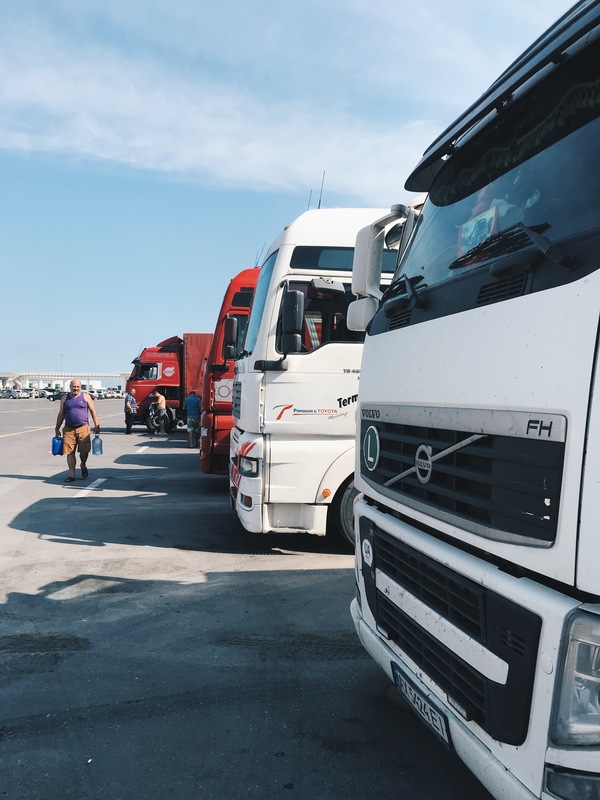 For the many truck drivers, they have been queued up for 3-4 days waiting at the port for the next ship to be ready. Luckily for these truck drivers, they are fully equipped with kitchen supplies, food and a place to sleep. 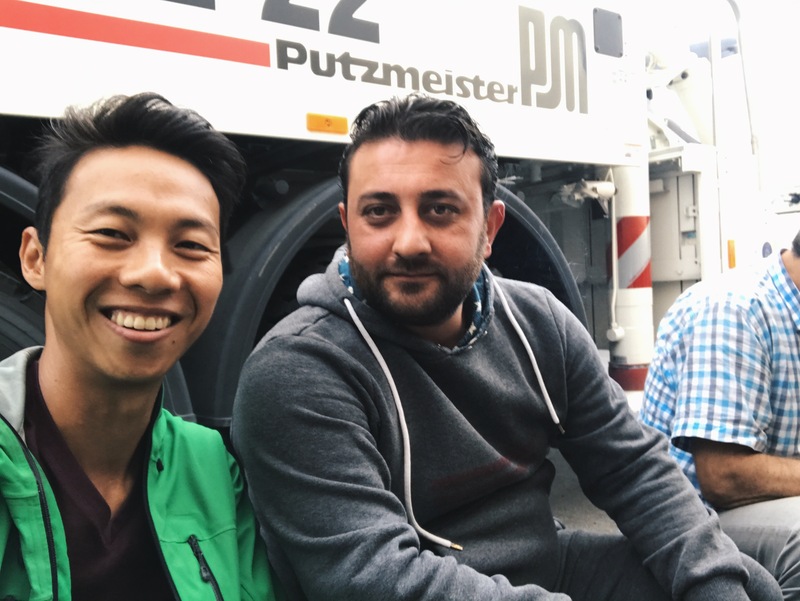 Walking around the port, I was invited to join Murat, a Turkish truck driver who invited me to have breakfast along with some other truck drivers on the side of his big rig. It was facinating to see his system for preparing breakfast and cleanup. Everything is simple but delicious, Turkish tea, Georgian tomatoes, Azeri cucumbers and good cheese. He even offered me some homemade blueberry jam from Turkey. Unlucky for the few passengers who want to take the ferry, there is no place to sleep. 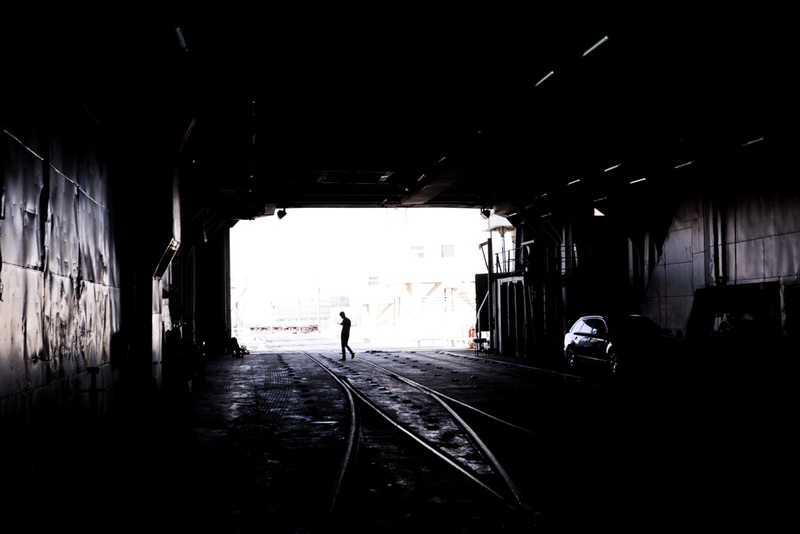 When I arrived at the port, it was 6pm and I was told the ship could be docking at any moment. The hours passed by and it was becoming more apparent that we might not get to board this night, and I had nowhere to sleep. 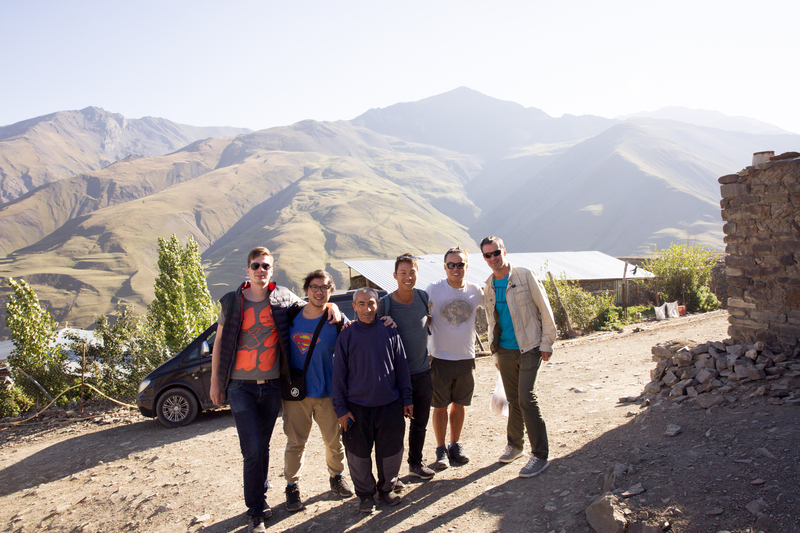 Luckily for me, I met a nice family of 4 from the UK that was taking the same ferry across to Kazakhstan. 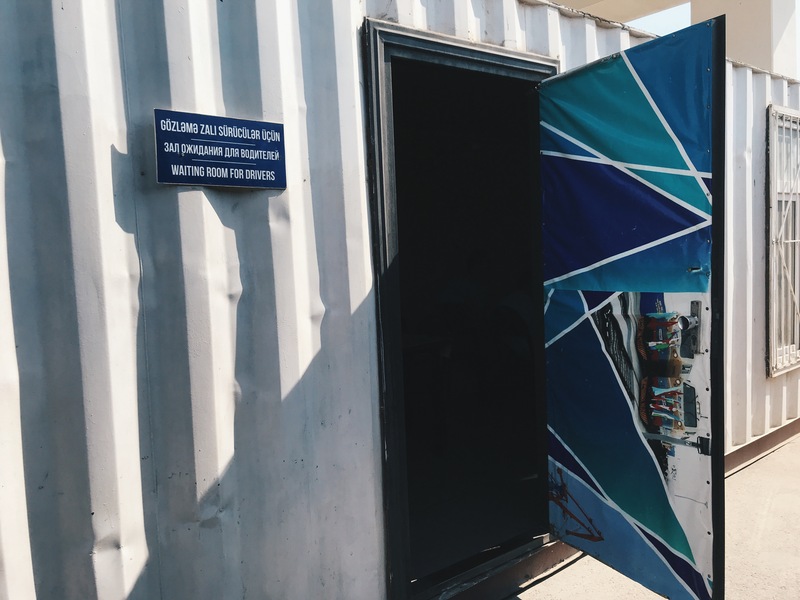 I was invited to join them for tea in the shipping container cafe, where we waited out the long hours of the night with tea and good conversations. Being a full time parent and traveller is hard, I admire Antony and Georgia for taking their kids across the world! We drank a lot of black tea that night. 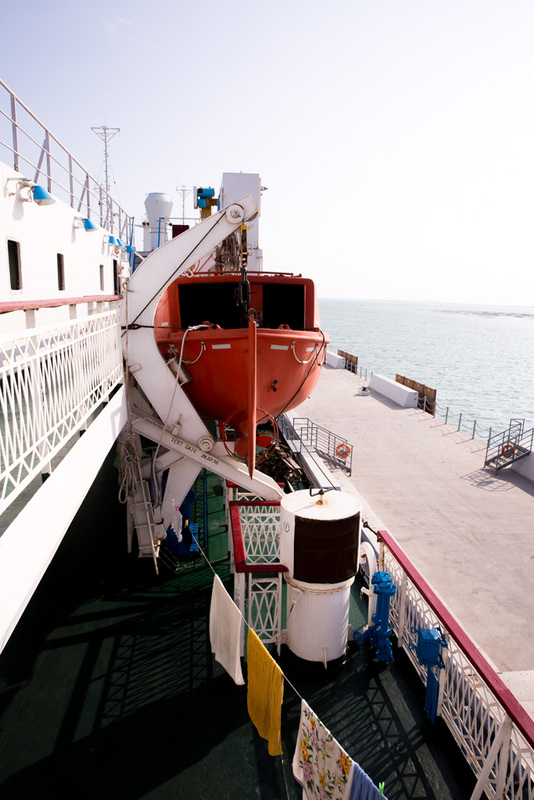 By around 5pm the next day, we were told that the ship has been unloaded and we can proceed through border control and finally board the ship. It was a little surreal after waiting 24 hours in the port, but we wasted no time and was first in line to get onto the ship. 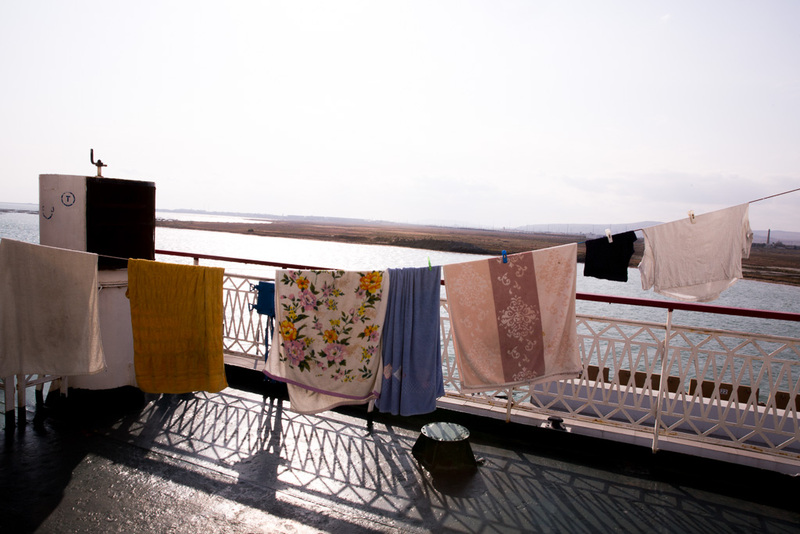 With the hardest part of this journey being over, we checked into our rooms and got ready to enjoy our long awaited ride across the Caspian Sea! 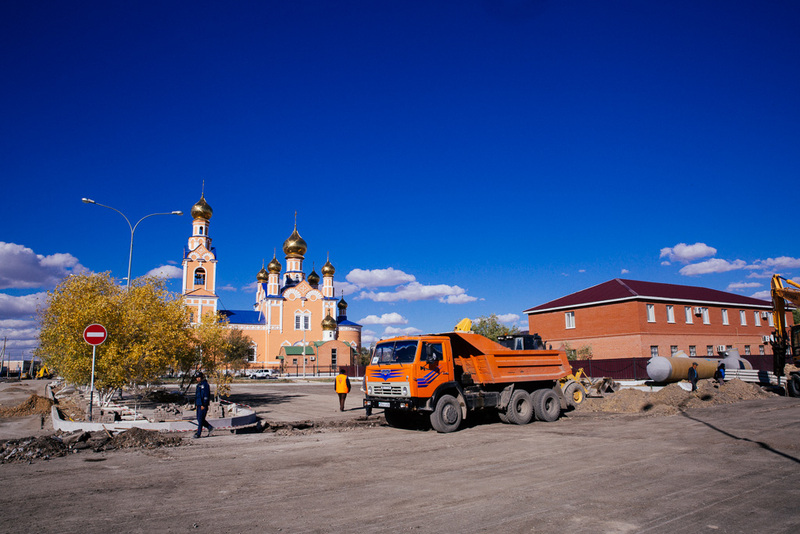 With the colder weather approaching Central Europe/Asia, I was intending to visit to parts of Kazakhstan and Kyrgyzstan before winter fully approaches. As such, I tried to pack the most I could into 72 hours in and around Baku before moving on. 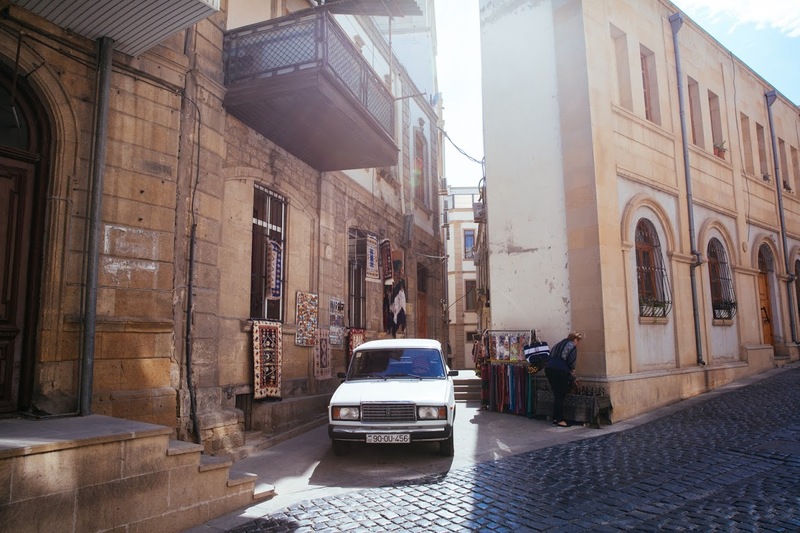 The three days in Baku was a mix of museum, exploring the city and getting outside of Baku to the more diverse landscapes of Azerbaijan. If you stayed only in Baku, you would think the entire country was flat and dry! After taking the night train from Tbilisi, Georgia to Baku, I checked into the SAHIL Hostel & Hotel which is centrally located near the high end shopping stores and restaurants and hit the streets. For a budget traveller, I would recommend staying here, it’s located centrally, clean and a great way to save some cash at ~$5USD a night. As boring as this place sounds, it peaked my interest as to why a country would spend time and money to create a building in the shape of a rolled up rug. 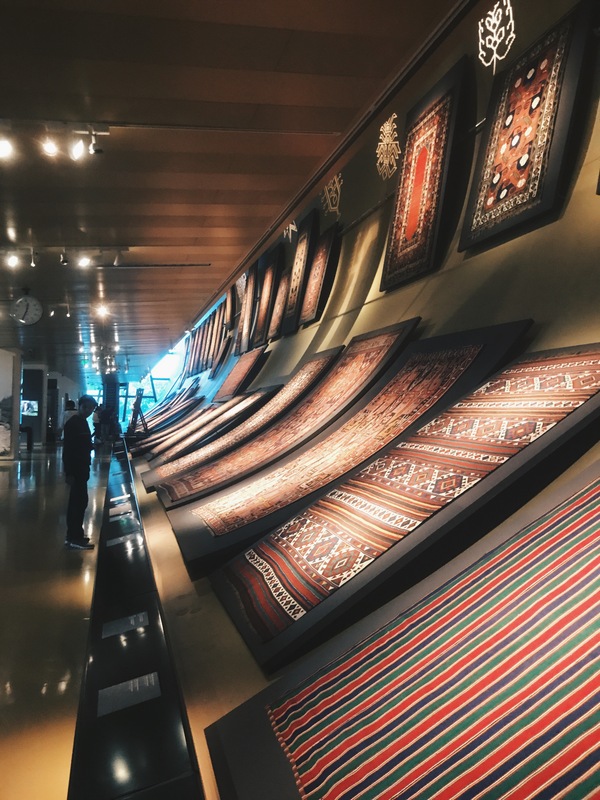 The admission price at my time of visit was 7AZN, roughly $4 USD, and worth a quick stroll through to see live demonstrations of carpet making and see some carpets dating back to the 14th century. Just a few minutes walk from the downtown area, the Old Town feels like you are stepping back in time with it’s exterior fortress and stone lined streets. Walking around the area you will find antique shops and and endless number of vendors selling sweets, teas and freshly made treats. It’s a little touristy, but a must do while you are in town. Through some of the winding streets I stumbled upon a cozy book cafe that is setup for folks to hang out, study and do some reading with tea and other snacks. I spent a few hours here catching up on a novel and trying out some of their tea and sweets. A great way to unwind after the long day walking around Baku! 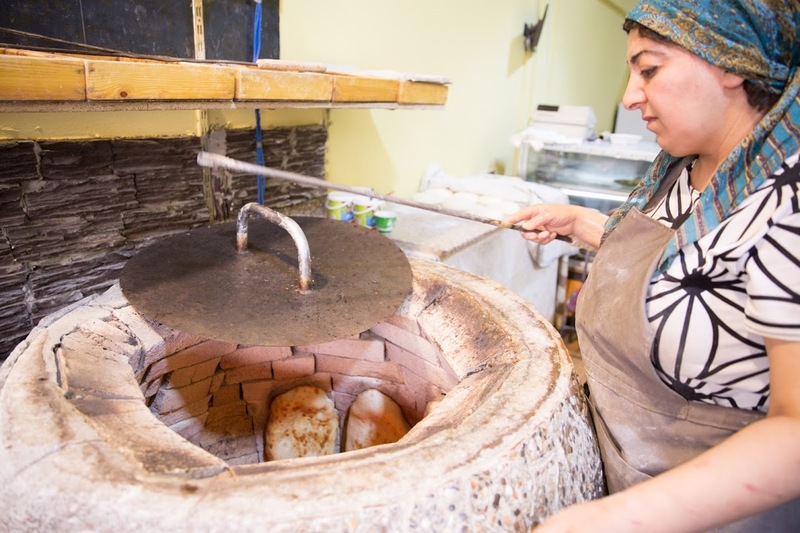 Around the town you will find a lot of bakeries with ladies behind the counter rolling dough, and placing them into stone ovens to bake. 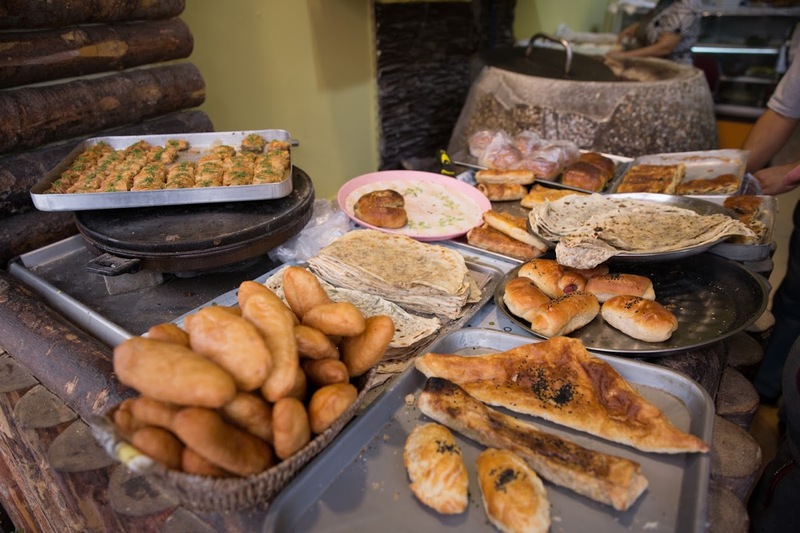 The breads that come out of these are simply amazing and a must do while visiting any of the countries in the Caucasus. One of my favorite varieties is a bread baked with local green vegetables inside. 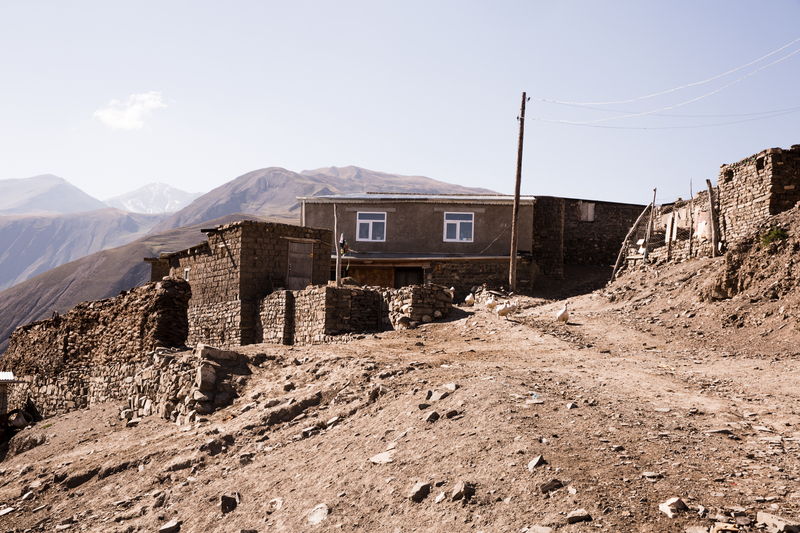 Khinaliq, is one of the oldest continuously inhabited places in the world. The thought occurred to me, I could either spend the day exploring the natural mud volcanos or head to the mountains. I have a weak spot for mountains and joined a long day trip to one of the highest villages in Europe at 2350m/7710ft. 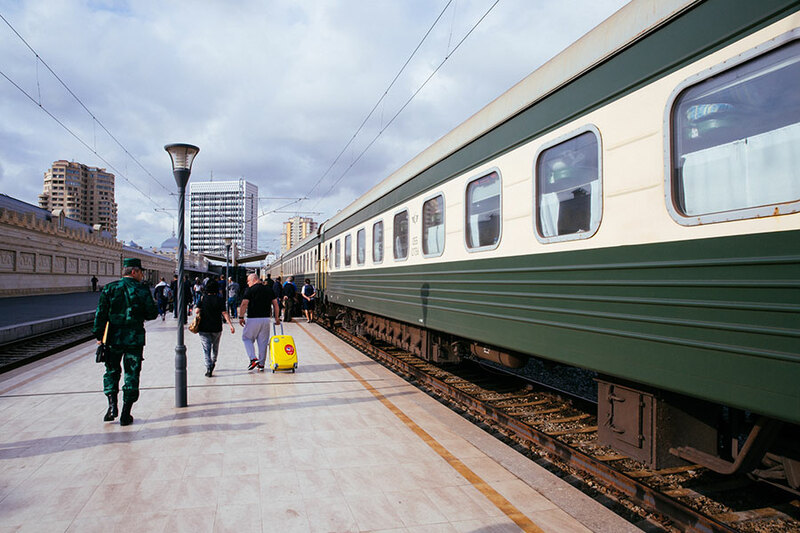 Typically when I am backpacking I try to avoid tours, but the public transportation here would have been tricky and would leave me with little time to see other sites along the way. 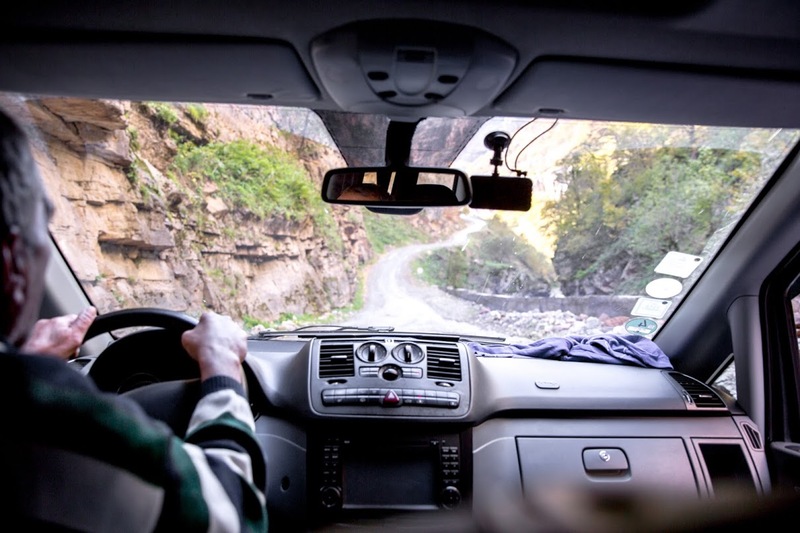 One of the most surreal parts of the trip was not the final destination, about a hour from the city of Quba, called the Eagle Valley. Just a short hop out of the car and we we’re standing on a cliff overlooking a large canyon, and spotting wild eagles flying close. It was a surreal moment with the clouds rolling in from behind us and seeing the contrast from the flat and dry area of Baku. The journey to Kinaliq village is long, with lots of dirt roads and some moments where you feel like the car could possibly get stuck. We arrived around 1pm and was excited to be having lunch with some locals who have converted converted their home into a guest house. 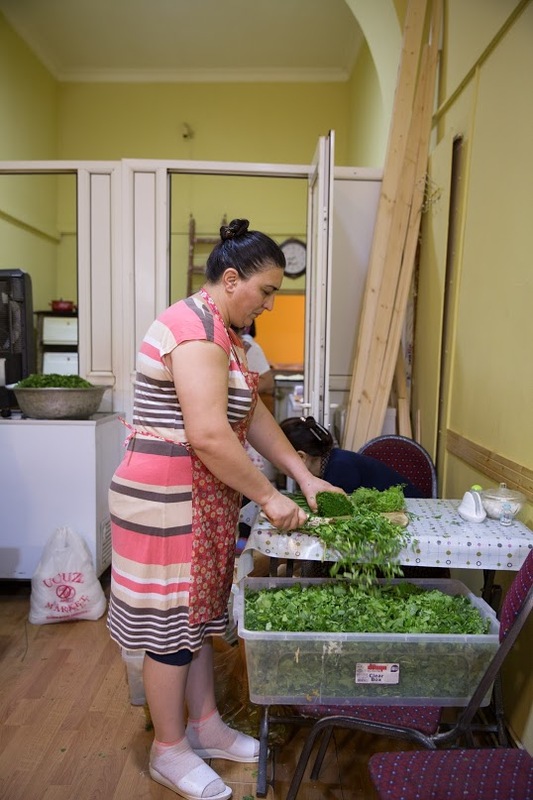 We were treated to a home cooked meal which included lamb plov, local sheep cheese, eggplant and a cucumber and tomato salad. The sheep cheese here was simply the best I have had, and it turns out to be made locally within the village. 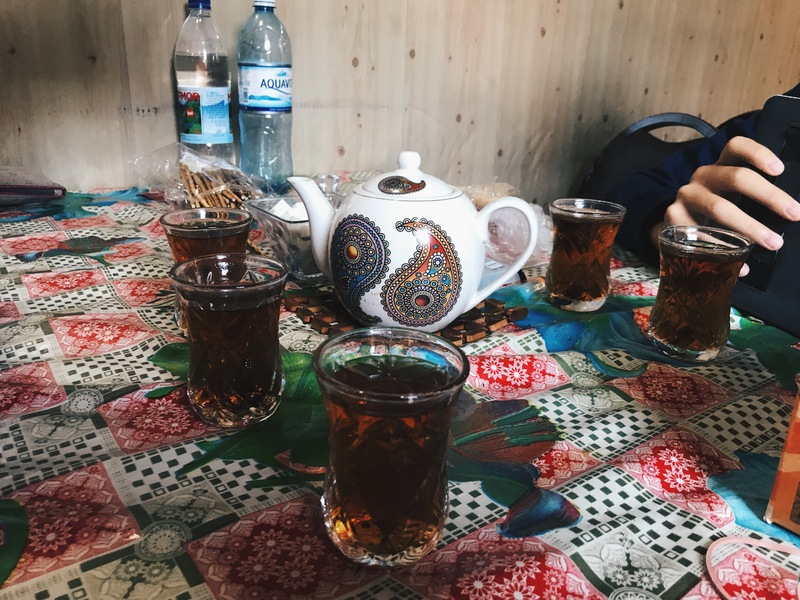 After lunch we were served local black tea that’s popular everywhere in Azerbaijan and candied cherries to finish off with a sugar rush. The journey to Khinaliq was an entire day from 9am to 9pm, and I would highly recommend this as a part your itinerary in Baku. 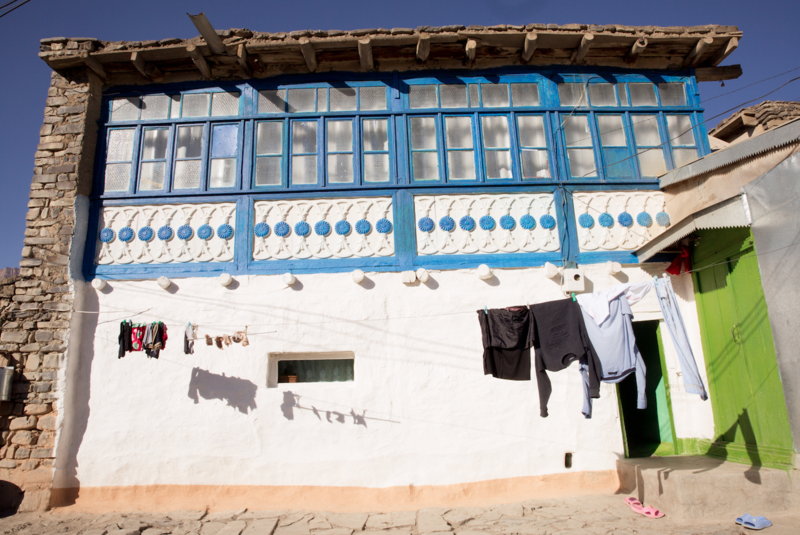 Any visit to a country wouldn’t be complete without a chance to meet and interact with some locals. I did a quick google search and found the Baku Runners club and headed out the door in the morning to make the 10am call time. The running group had been started by an ex-pat a few years ago, but attracts both locals and foreigners alike. The Saturday run was a 10k that follows the harbor and turns back around to finish at the Cafe where you can leave your belongings, it’s also a chance to grab a coffee and socialize. During my run, I met Mayis from Baku, who has been part of the running club for a while and kindly offered to help me call the port to find out when the boat to Kazakhstan would be arriving in Baku. 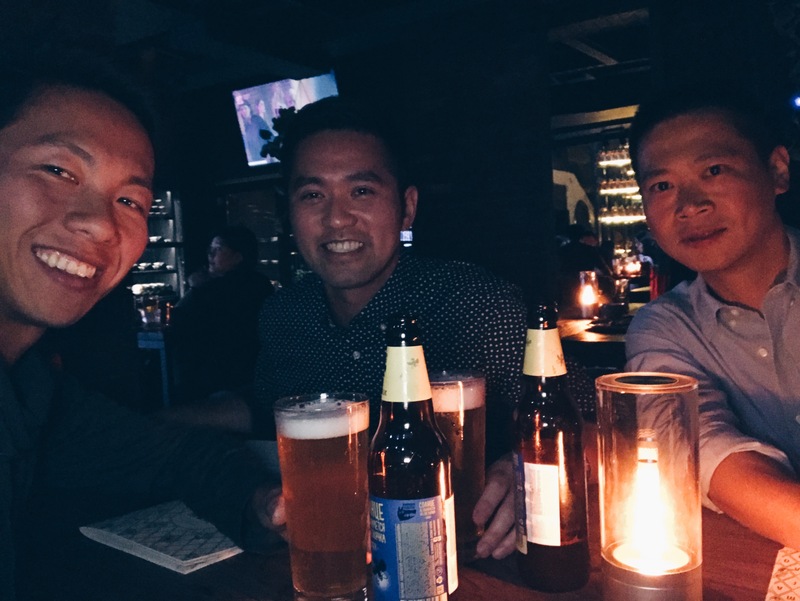 He was excited to talk about his upcoming move to Germany for his MBA! It’s interactions like these, and a chance to learn about the local culture with people that make my journey worthwhile. I also had a chance to meet Sarah from Australia, and we connected pretty quickly on travels and learned that she had recently moved here with her husband and kids for two years, as her husband works for an oil company. She asked where I was staying and even offered me a place to crash if I was going to be in Baku for longer. It was really inspiring to meet such an welcoming and super fit young mother in just a few kilometers! 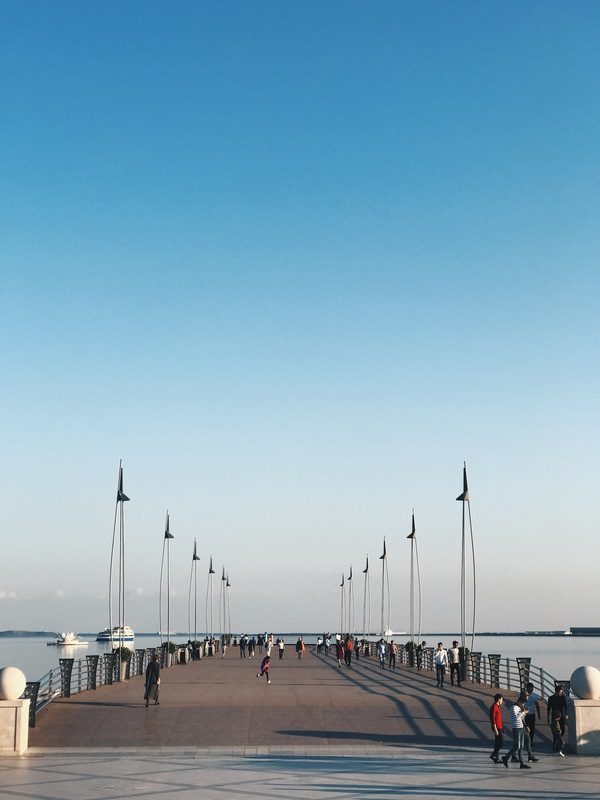 The last part of my evening was spent near the beautiful shoreline, where you find many families and teenagers walking around and enjoying the afternoon sun. Looking out over the skyline and water, it made me feel like I am in just another European city. 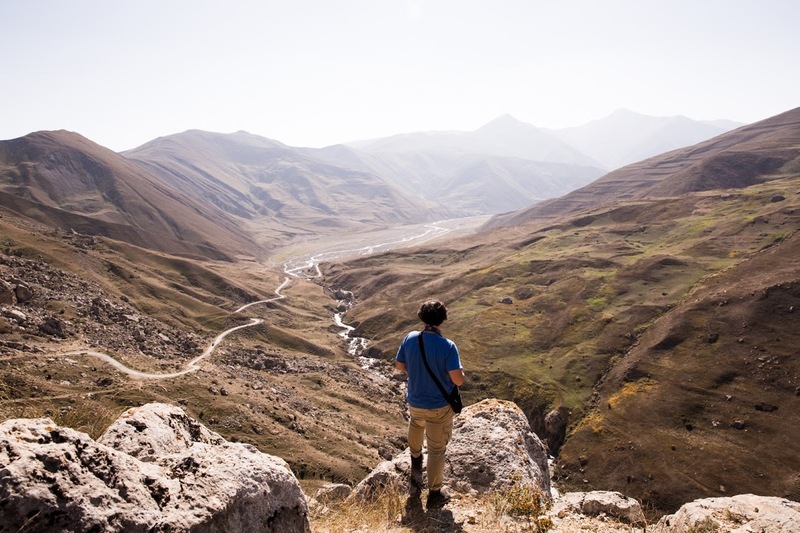 I was a little skeptical about visiting Baku, but it’s a nice place to spend a few days during your time in the Caucasus. I was in a rush from dinner, but arrived to the Tbilisi Train Station with 30 minutes to spare. 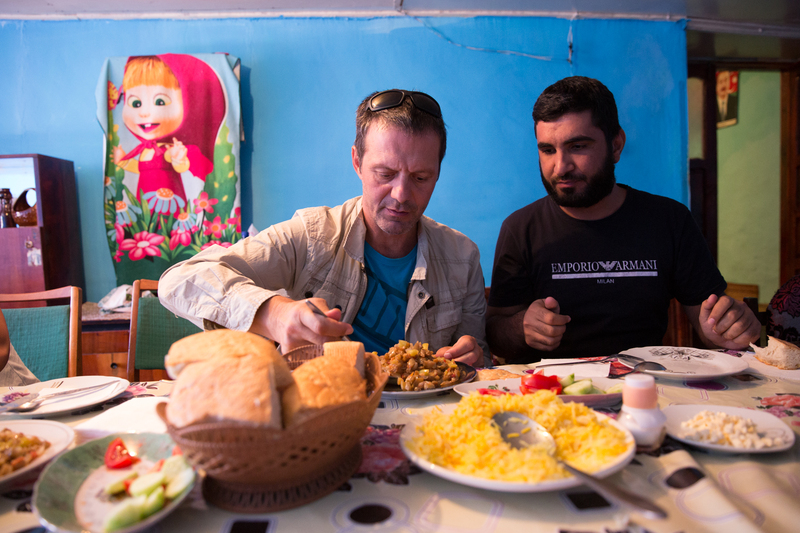 My friend, Jorieke from the Netherlands, wanted to make sure I had one last big meal in Georgia before boarding the overnight train bound for Baku, Azerbaijan. The Georgian food is so filling and rich that I only brought a bottle of water with me for the journey. 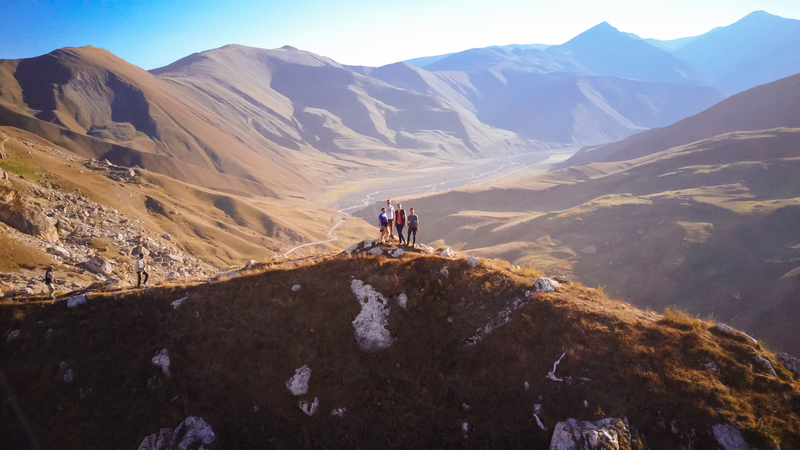 Jorieke and I had spent a little over week traveling together in Georgia, from a long four day hike in Mestia we visited stayed in some villages in the mountains, we had survived a 9 hour soviet era bus that across the country and a few days in the Telavi wine region. It’s not often that I get a chance to share the road with someone for so long, and you really get a chance to connect and get to know the other person. I’m looking forward to her visiting Los Angeles someday! 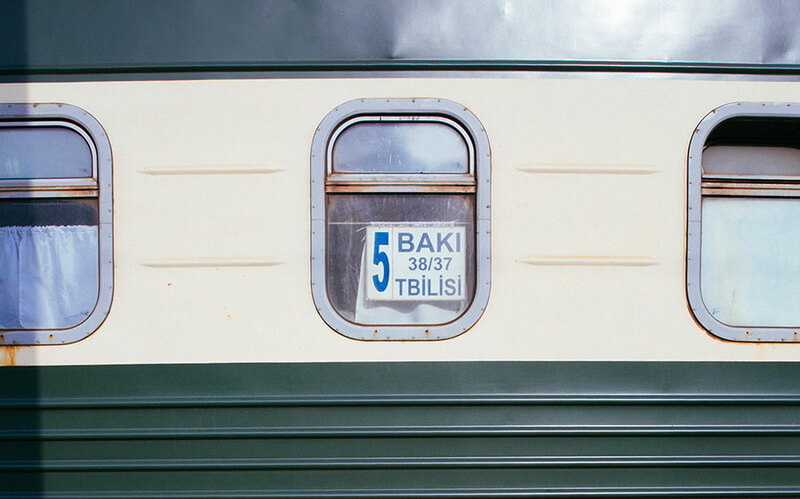 Aboard the train, you feel like you have just stepped back in time with the long corridors and green pleather upholstery. 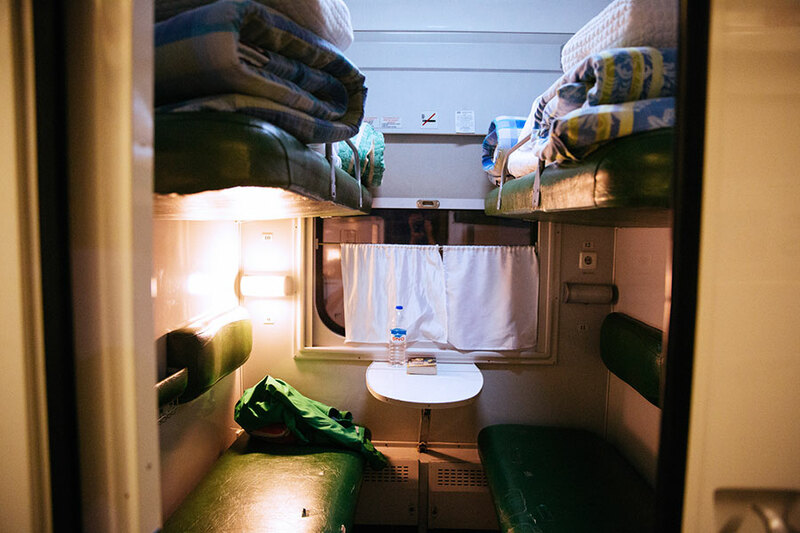 I had purchased a second class ticket, which guarantees me a bed in a four person cabin. Luckily I was paired up with just one other, a nice older Russian lady. The train pulled out of the station around 8:45pm and we arrived at the Georgia boarder around an hour later with a sudden stop. Aboard the train one of the Georgian officers walk room to room collecting passports and checking that everyone who needed a visa for Azerbaijan had one. The whole process took a little over 30 minutes, the train continues to move and we are handed our passports back with an exit stamp from Georgia. 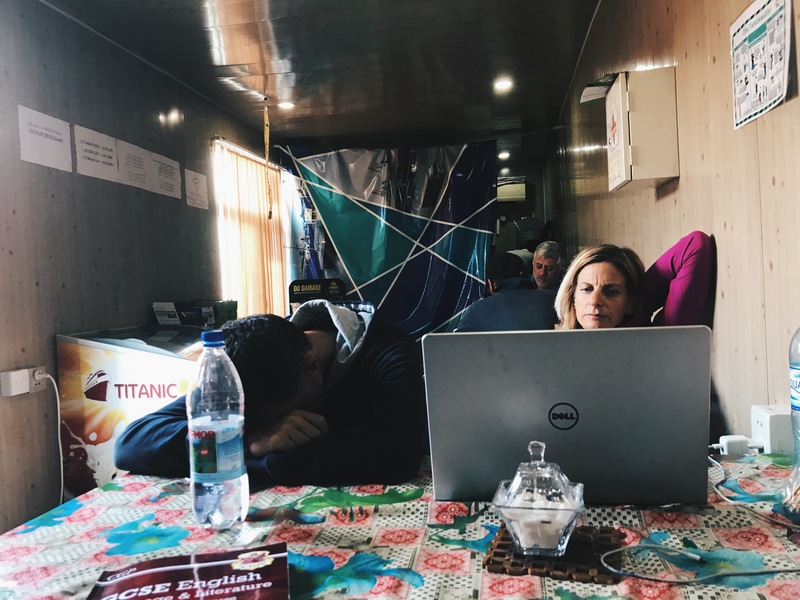 After twenty minutes we were called up room by room to walk down the hall to one of the first cabins where they have turned it into a make shift immigration office. I take a seat across from the Azeri officer who tells me to look at the camera several times. After what seemed like 10 minutes of typing and checking, he stamps my passport and says “welcome”. Later onboard another officer passes through to check everyone’s luggage, he sticks his hand in my bag, looks disappointed and moves on to the next room. Looks like we’ve officially entered into Azerbaijan! As I prepare to turn down my bed for the evening, the Russian lady saw me struggle to make my bed. She pointed out that we were all given a mat to place upon the bench to make it more comfortable. Glad she helped out, it made a big difference. 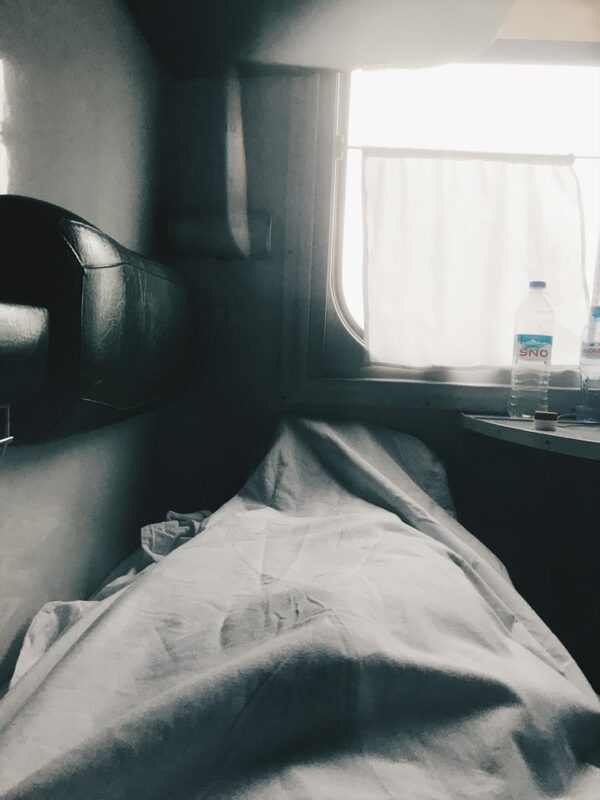 I was a little skeptical about sleeping in a train, but being 5’10” I was able to lay down comfortably and fully stretch my legs out. The train keeps rocking steadily and I find myself fast asleep by midnight. After a restful night, the morning wake up calls start around 8:30am, the attendant knocks on everyone’s door and also asks if they would like purchase tea. It’s exciting to wake up and realize that you will shortly step foot in another country. I look the window and see the dry desert landscape in front of us, lots of small hilltops and a few small bodies of water here and there. 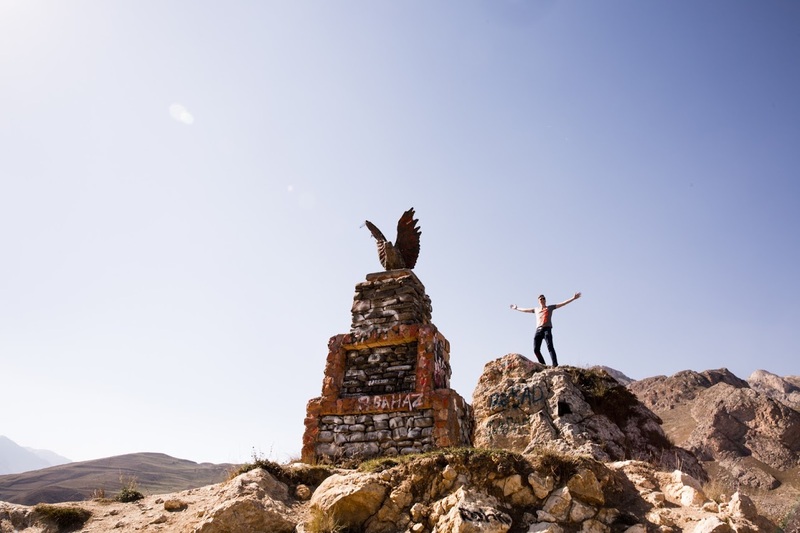 It wasn’t until we reached out the outskirts of Baku that you see this gigantic city that seems to come out of nowhere. (Same sort of feeling you get after traveling 5 hours through the dessert from Los Angeles to Las Vegas via car.) It’s stark contrast and you soon begin to see the large skyscrapers built around the older looking city that surrounds them. Finally we arrive at the Baku station and take my first steps into Azerbaijan. Overall the entire experience was pleasant, well rested and ready to explore the city. If I had to do it over, I would had saved a little money for the morning tea! *Time of departure will vary depending on the time of year, the trains will be scheduled accordingly. The best way to catch one is to show up at the ticket office and ask in person.